‘ONE BAD M.F. Live!  !’, his latest album, is out now on Prosthetic Records. The tour kicks off at San Diego and wraps up on February 24 in Baltimore. 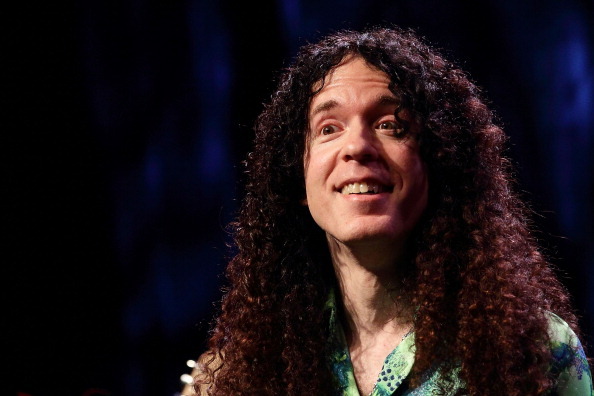 Marty Friedman, Megadeth's former guitar star, will show fans he’s 'ONE BAD M.F. Live!!' as he brings his new live album to life across the country starting January 23, 2019, in San Diego, CA, at Brick By Brick. The tour wraps up on February 24 in Baltimore. Expressing his excitement, he said: "This tour will bring upon an avalanche of emotion and aggression, tears of joy, and an unhealthy dose of positive vibes from Tokyo!" There will also be 'Marty Friedman Meet & Greet Experience' VIP packages available on Friday, October 26, on his official website, which includes one ticket to the show, meet and greet before the show, guitar pick pack, VIP lanyard, autographs and Vault CDs. His band features the stunning female bassist Kiyoshi, wunderkind guitarist Jordan Ziff, and 'The Animal' drummer Chargeeee. "My band outshines me every night," said Friedman. "You will fall in love with Kiyoshi's stage persona and her playing. I have never seen or heard a bassist like her. Jordan follows in a well-documented tradition of mine, of only playing with super guitarists. Chargeeee will have you laughing as he seems to be straight off The Muppets, while effortlessly bashing through some quite complex drumming." The album, 'ONE BAD M.F. Live!!' was released October 19 on Prosthetic Records on all digital platforms, CD, as well as a vinyl 2LP gatefold set with glow-in-the-dark wax as one variant and black sparkle with clear splatter as the other. "The vinyl version is recommended," added Friedman, "because this is a live album to be enjoyed in the old school manner-with a huge foldout cover, lots of big, cool live shots and info about the show." “ONE BAD M.F. LIVE!“ RELEASED TODAY!! 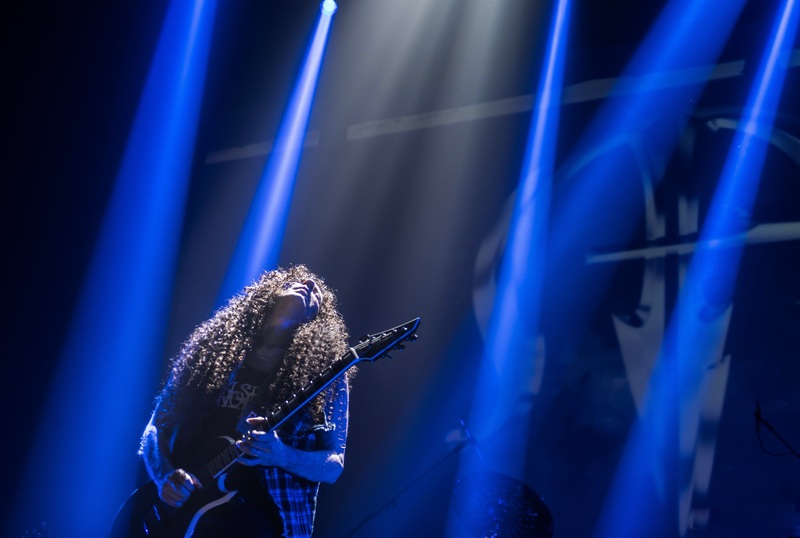 Recorded live during his 2018 'Wall of Sound' tour in its final show in Mexico City at Centro Cultural on April 14, 2018, 'ONE BAD M.F. Live!!' is full of his own brand of "feelgood aggression" and an all-out celebration of his music in its rawest form. It’s the follow-up to 'Wall of Sound', which was released August 4, 2017, on Prosthetic Records, and debuted on the Billboard charts at #12. Fluent in Japanese, Friedman's love for Japanese music and the language found him moving to Tokyo in 2003. It is there his career took off in very unexpected ways. His appearance as the star of a new TV comedy, 'Hebimeta-san' ('Mr. Heavy Metal') and its spinoff, 'Rock Fujiyama', which ran for six seasons, propelled him into the living rooms of Japan`s mainstream. Currently, he is a constant fixture on Japanese television (appearing on hundreds of network programs of all types and as the face of long-running campaigns for Fanta/Coca-Cola, Sumitomo Bank, Suntory etc. ), as well as appearing in major motion pictures. He is also the author of two hardcover books in Japanese detailing his unusual views on the current Japanese music scene, as well as two best-selling manga-related books, which are both in their eighth editions now. Despite Friedman's flourishing TV career, he still considers music his "only real job", often performing at the Tokyo Dome, Budokan, Ajinomoto Stadium, the Saitama Super Arena and other top venues with his own music, as well as guesting with other artistes. Friedman has not only held top charting positions with his own albums in Japan, but also collaborated on and produced several chart-topping hits with the biggest names in J-pop and J-rock (Momoiro Clover Z, Sound Horizon, Man With A Mission, Crossfaith, SMAP, AKB48, NEWS, and several others). In 2017, the Japanese Government appointed Friedman as an Ambassador of Japan Heritage, for a term of three years through the 2020 Tokyo Olympics. Along with J-pop icon Kyary Pamyu Pamyu, baseball legend Hideki Matsui, and four others, he’s the first foreigner ever to receive the title. He performed the Opening Ceremony at the Tokyo Marathon in both 2017 and 2018, again being the first foreigner to do so.  His most recent collaboration with the Tokyo Philharmonic Orchestra is the government-sponsored Japan Heritage Theme Song he released in 2018. In 2018, Young Guitar Magazine honored him with a 175-page special edition devoted only to Friedman and his inimitable playing style. Not one to slow down and take any breaks, Friedman is also currently in the fourth year of filming a documentary, and his biography is set to be published soon. 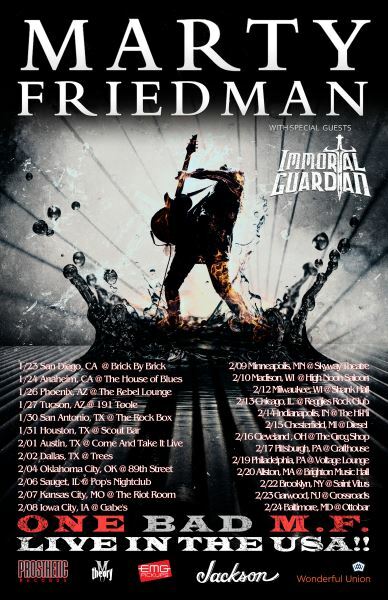 Check out the full tour itinerary below and visit www.martyfriedman.com for more details.